ATTENTION OPEN ATHLETES! Due to the fact that we have several people coming in tomorrow for our regular Saturday WOD, we will not be running the Open WOD until 10AM. 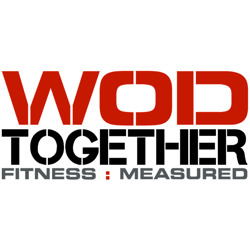 If you guys want to do the regular WOD tomorrow at 9, that’s totally cool. We’ll be around all day Monday to judge you as well. Just remember you have to have your scores submitted so I can validate them before 5PM on Monday. Hey everyone, we’re turning Saturdays into “bring a friend” day. The workouts should be easy enough that anyone who hasn’t done CrossFit before can slog their way through without worrying about all the technical movements. So if you know of anyone who is interested in seeing what this CrossFit thing is all about then bring them in, and make sure they know that their first time is totally FREE! Posted on March 7, 2014, in WODs. Bookmark the permalink. Comments Off on Saturday 3/8/14.